Recently I got around to converting my last Linux box over to FreeBSD. The change over for almost everything was smooth except for one thing. A windows virtual machine. I have a number of applications which sadly are Windows only applications, one is accounting package. One requirement of this package is the need to print. This worked under Linux so I think twice when I finally nuked the Linux partition. Sadly I soon found that my USB printer did not work under the VirtualBox VM under FreeBSD. It was crazy. I’d followed the guide about enabling USB support under FreeBSD with virtual box at http://wiki.freebsd.org/VirtualBox and other USB devices worked fine. FreeBSD was able to see the device (usbconfig) showed it clearly. Even Virtual Box was able to see the device. The crazy thing was even Windows was able to see the device. However, no matter how much driver updating, plugging, replugging I did windows would show the printer existed but kept putting a yellow triangle next to it indicating it needed ‘Trouble Shooting’. I was lost. I left things this way for over a month. Until I had no choice but to print. Hence I had to fix the issue. At one point I even noticed that the printer was being recognised by the FreeBSD ulpt driver and I thought that could be a problem so tried to disable that. Alas nothing. It wasn’t until I noticed that USB2.0 was deselected in Virtualbox that it all made sense. I clicked the tick box and got a dialog complaining that USB2.0 could not be enabled due to a missing extension pack. 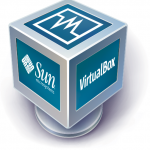 A look at Virtual box’s website indicated there was one for all platforms.. it didn’t work on FreeBSD. A quick google search revealed it’s got native binaries that don’t work under FreeBSD. Hence I was again at a loss. Then it occurred to me, could I force the printer to negotiate at usb1 or usb1.1 speeds? A lot of google searching revealed nothing, I looked at using usbconfig, usbdevs all proved pointless until I found this post. This converted my printer to a USB1.1 device (or a FULL speed device ) after replugging and windows was all happy! So if you find yourself using FreeBSD and have a device that doesn’t seem to work correctly, give the above a shot and see if it solves your issue too! How can I turn back sysct to its original state?